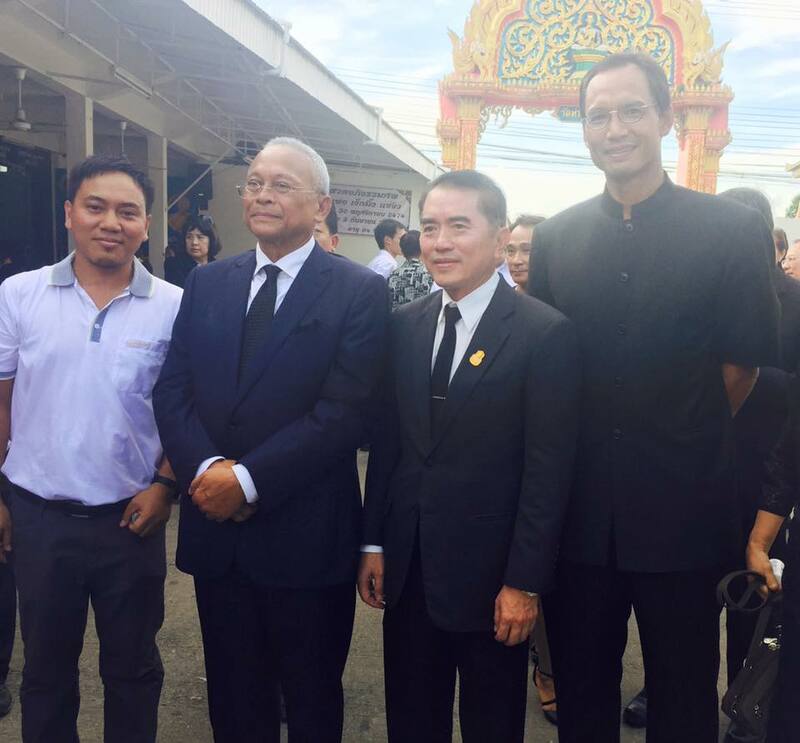 Standing shoulder-to-shoulder with former Deputy Prime Minister and People’s Democratic Reform Committee (PDRC) leader Suthep Thaugsuban, gave me a feeling of uneasiness. Unlike with former Prime Minister Abhisit Vejjajiva and former Finance Minister Korn Chatikavanij, Suthep’s aura was full of so much confidence and power that seemed to be not of earthly origin. LoL. I felt so small and scared to be with him. I also noticed that Suthep was very observant of the things around him. There were no drastic head movements but his eyes were moving in all direction whenever someone approaches him. Who is Korn Chatikavanij to me? I haven’t met the other Democrat former ministers yet but my perception of former Finance Minister Korn Chatikavanij as I’ve met him quite a few times is generally lighter. Mr. Korn is really friendly and easy to talk to. He likes to chat with people and is always willing to share a laugh and a photo with anyone. 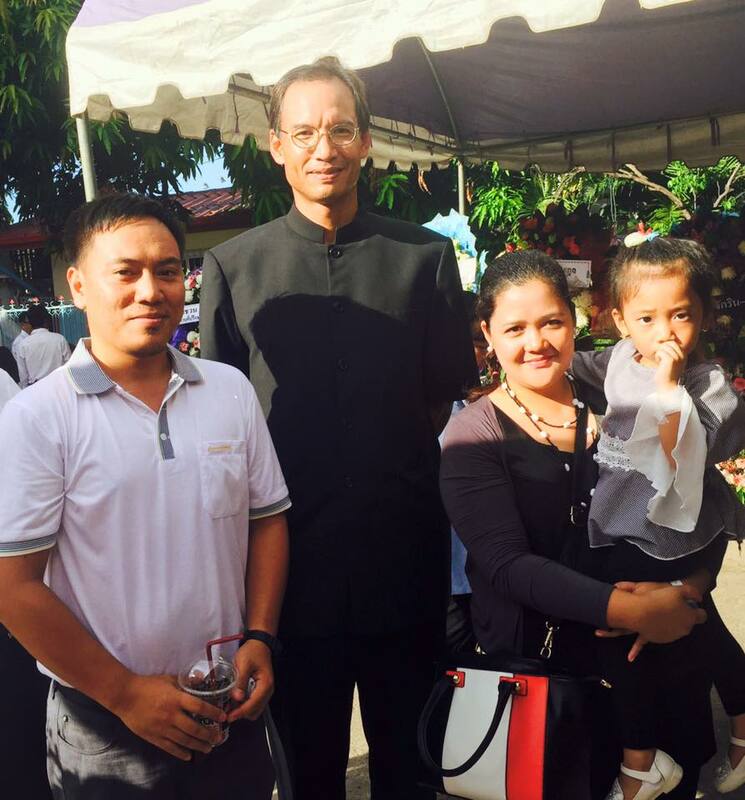 When he saw me on the cremation ceremony for the father-in-law of former MP for Phitsanulok Dr. Warong, Mr. Korn offered his hand to greet me. He also shook my wife’s hand and said, “Your husband is doing an amazing job (referring to the English for All project).” I simply said my thanks but my heart was leaping with joy. Hearing those words from the former finance minister himself doesn’t happen everyday. I’ve met Dr. Warong three years ago when his former staff at Buddhachinaraj Hospital who also studied with me, contacted and asked me If I can teach the former MP for Phitsanulok. Since then, Dr. Warong and me became friends.